With the awe-inspiring scenery and unique culture in Whistler, it’s no wonder the arts abound. Autumn is a great time to explore the local scene through exhibits, galleries, events and workshops. The Squamish Lil’wat Cultural Centre is the place to go for a celebration of the local First Nations past and present, showcased through creative works and interactive exhibits. The most recent addition is the must-see Audain Art Museum, housing the outstanding works of renowned BC artists and exciting temporary exhibitions. The leaves don’t just change colour – they GLOW. From October onwards the trees around Whistler turn a mix of vibrant greens, golds, browns, russet, purple and more before they fall in a merry, whirling dance to lie crunchy underfoot. Our picks for the best trees? Walk through the village or out to Rainbow Park by Alta Lake. Did you know that every spring and fall Whistler’s restaurants, cafés and bars roll out an impressive collection of dining specials? You can literally stay for a month and dine out every night, taking advantage of a different special each time. Everyone from the pizza places to the fine dining establishments get in on the act, so it’s the perfect excuse to have a special night out, for less. It’s a local secret that fall is prime time for some of our famous activities like hiking, biking and sightseeing. The trails are quieter, the temperatures cooler and a mix of rain and sun mean conditions are ever changing and primed for fun. All the events happening through fall celebrate the best of the season. Love getting active in the crisp fall air? Try the RBC Granfondo or the Whistler 50. Prefer to eat, drink and socialize? We’ve got the Whistler Village Beer Festival AND Cornucopia – Whistler’s own 11-day festival of food + drink. Got a hankering for some intelligent conversation, arts and culture? Whistler Writers Festival is the go. Plus there’s more Farmers’ and Artisan Markets, concerts, exhibitions, workshops and smaller events than you can shake an autumn leaf at. There’s no shortage of fun to be had in fall. Ziplining, ATV and UTV tours, horseback rides and other activities continue all season while some like fishing and eagle tours really come into their own. Insider Tip: Raining? Embrace it! Do it in the mud for extra excitement. The courses are open into October so take the time to perfect your swing before the season ends. With quieter courses and late season specials, there’s a lot to love about fall golfing in Whistler. As the snowline starts to drop winter anticipation fills the air – and it’s electric! If you need some new gear the Turkey Sale (on the Canadian Thanksgiving long weekend) is the perfect chance to stock up on winter equipment for cheap. All of Whistler’s shops have deals on too so get some pre-winter cardio by hunting for bargains on the Village Stroll. Check the event calendar during your stay and you might even be able to catch the latest ski movies to really fuel that fire. Tune up for winter or tune out after summer. Take an extended break and focus on your health and wellness for a while. There’s yoga and meditation, a range of health and massage practitioners, flotation and alternative therapies plus a spa for every day of the week. Not to mention the healing properties of morning walks by misty alpine lakes and stunning waterfalls. Falling in love with fall? 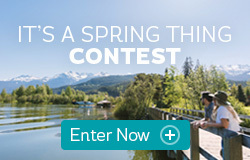 At Whistler.com we've got everything you need for your getaway from transportation, accommodation, activities and more. 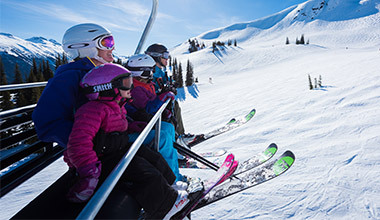 If you’re short on time our Whistler-based travel consultants can help you plan – call 1.800.944.7853 for booking assistance, more ideas and local travel advice. Autumn doesn't have to be mellow – The Insider shares an exclusive top ten list of cool stuff to do before the snow falls. Gather friends and family to visit over the Thanksgiving long weekend and enjoy the beautiful autumn weather.